The southernmost continent is a land of such extreme weather that it is supremely inhospitable to members of the human race. Mankind has only inhabited this dangerous and mysterious land for little over a century and it isn’t the first destination that comes to mind when most people think of vacationing in nature. For those with the courage and dedication however, this frozen wasteland offers natural splendor that can be found nowhere else on the planet, for nowhere else is quite as unique as the Antarctic. 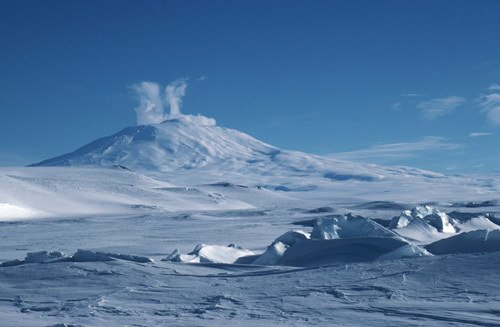 Mount Erebus, named after the Ancient Greek conception of primordial darkness and the underworld, is the southernmost volcano on Earth. Rising 3,794 metres on Ross Island, the mountain is part of the Ring of Fire and has been active since 1972. The adventurous traveler can climb the mountain, and the summit can be reached by snow mobile. Mount Erebus is also host to one of the world’s five persistent lava lakes, a pool of persistent lava glowing with the fire of the earth’s core year round. 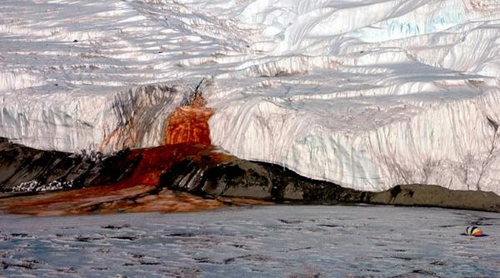 The morbidly named Blood Falls is a spectacular natural beauty of flowing red water that pours out from deep in the core of the Taylor glacier. This blood-coloured saltwater breaks free from tiny fissures in the glacier, before spilling out onto the frozen surface of West Lake Valley. The characteristic red of Blood Falls is the result of high levels of iron oxide, which were frozen in the glacier 5 million years ago. The water is home to a variety of microbes, which have evolved to live in a completely oxygen deprived environment in a way that is found in no other location. Blood Falls provide a beautiful backdrop to a testament to the remarkable adaptability of life on our planet. Antarctica, though often confused with the Arctic habitat, is the home of many species of penguins that can only be found in its particular environment. Though many species can be found across the continent, of particular interest is the Emperor Penguin, the largest of its species. 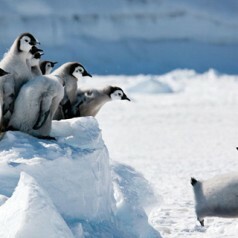 These penguins are the most well-known and iconic breed, and generally stand about 110-130 cm in height. 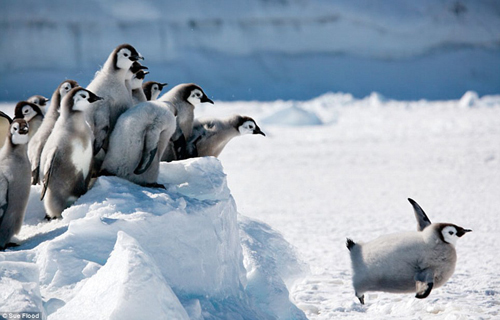 Emperor Penguins breed during the cold extremes of the Antarctic winter and require an epic journey from the far reaches of the continent to their breeding colonies. The largest of such colonies is located on Cape Washington and routinely draws in 20-25,000 breeding pairs. Dome Argus is the highest ice feature on the continent of Antarctica, though while there you wouldn’t know it. The dome is an ice plain that is located 2,400 metres above the Gamburtsev Mountain Range. The Dome Argus, or Dome A, is one of the driest locations on the planet, with only 1-3 cm of precipitation a year. 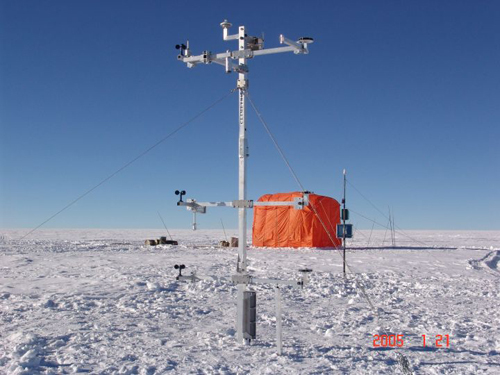 The calm weather and clear skies above this location make it ideal for retrieving ice core samples for geological study, and it is one of the most ideal sites on Earth for astrological viewing. While making your rounds of the frozen continent, you certainly should not miss out on the opportunity to visit the southernmost point on the planet. 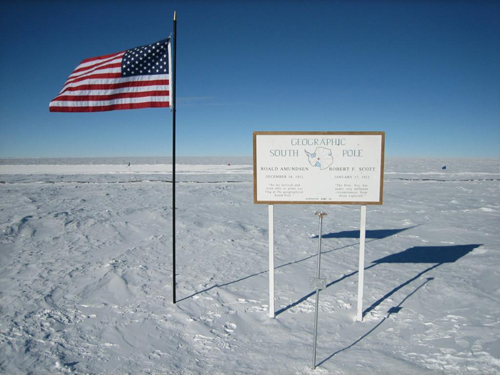 The geographic South Pole is the site of the United States Amundsen-Scott South Pole Station, established and staffed since 1956. In the land where every direction is north, is a red and white striped pole accompanied by an American flag that is moved every year to compensate for continental drift. Antarctica has these and many more visions of unspoiled natural beauty accessible to only the truly prepared and dedicated traveler. Unfortunately, it is not a place many people will ever get to visit and while there are always plenty of holiday cash loans available for those who need to borrow for their vacations, it is unlikely that these will help, as full trips to the Antarctic tend to cost thousands of dollars. As such, those who are lucky enough to journey here will be placed in an elite club of experience, set apart from the majority of humanity. Ensure that you are fully educated, trained, and equipped to survive in this supremely harsh, but mesmerizing environment.